Kominami Yasuha is a singer-song writer from Hyogo Prefecture of Japan. She is under the influence of Shiina Ringo and Bjork as her idol. She mixed all her influences in her way of singing. Her unique way of singing reminds me of Shiina Ringo’s way of singing, the husky tone of YUI’s vocals and her superb falsettos that represent’s Bjork’s. She likes scary movies, so some of her songs are quite haunting, like 希望（kibou). She also sings a lot of folk songs with her acoustic guitar. This is her First Major Debut Single and songs “Trash” and “希望(kibou)” will be theme songs for the dark anime movie “Asura”. Categories: Album/Single of the Month | Permalink. 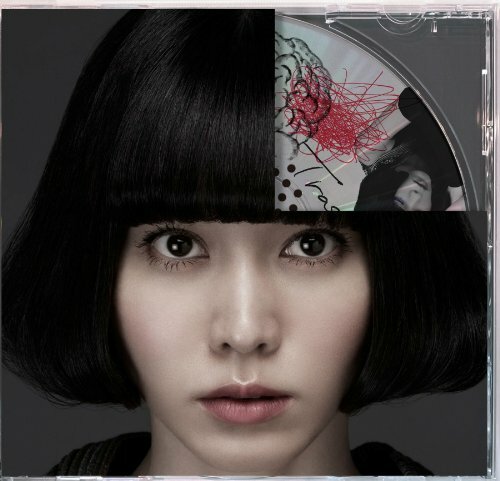 If you are looking experimental electronic Japanese rock/pop, then this album is for your ears to grace on. This album is one of those albums when you can’t fully appreciate in one hearing. You have to indulge yourself to listening a number of times to notice the significance of each song. My favorite tracks are the gloomy eerie “free quiet”, sunshine feel refreshing “in bloom”, the jazzy stuff “≠” and the uplifting “Halation”. Y/N also is a catchy song with jazzy dynamics mix. A must recommend for Japanese Music lovers to try something new because when it comes to school food punishment, their music has heart and is indeed unique.